Welcome to Affiliate Summit Europe 2020! Our exciting event is taking place in Amsterdam on March 25-27, 2020 at RAI Amsterdam. 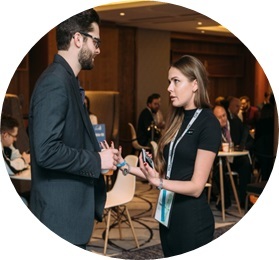 Whether your priority is lead generation, brand awareness or positioning, Affiliate Summit Europe is designed to connect you with other advertisers, affiliates, networks and agencies. Networking Passes: best for industry professionals who want basic networking access to other industry professionals. The Networking Pass includes: Entrance to the Exhibition, Meet Market and Pub Crawl, & Party Entry, Entrance to Keynote Sessions, Access to the Networking App and Access to Sessions PowerPoint Presentations. VIP Passes: best for industry insiders looking to connect with and learn from other industry insiders. The VIP Pass includes: Entrance to the Exhibition, Meet Market & Pub Crawl, Entrance into the VIP Lounge, including Q&A with our Keynote Speakers, & Party Entry, Entrance to the Keynote sessions, Access to the Networking App, Access to ALL Sessions including Roundtables, Session PowerPoint Presentations, and Lunch on Day 2 and 3. Registering 5 or more attendees? An e-voucher will be sent within one week prior to the event. You will need to present this at the registration desk to receive your badge on site.